Danfoss engineers technologies that enable the world of tomorrow to do more with less. They meet the growing need for infrastructure, food supply, energy efficiency and climate-friendly solutions. Major VLT® (Variable Frequency Drives) industries include HVAC, Food and Beverage, Water and Wastewater, Refrigeration, Lift and Crane, Marine, Mining, and Chemical. 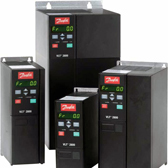 Click here to review Danfoss Variable Speed Drive products. RACO SCADA Systems are the most Powerful, Versatile, Pump Station Performance Monitoring Systems on the market today. Verbatim SCADA System software for Windows is a great upgrade for Verbatim RTU Users, allowing you to combine a Verbatim System with a Central Station Host Computer and interface up to 2500 Verbatim RTUs. 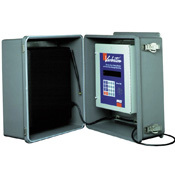 Click here to review SCADA System products. We carry a complete line of valves from manufacturers such as Bray Controls, CheckAll Valve, Dopak, Flow Safe, Red Valve, RobertShaw, and Strahman. Click here to review valve products. 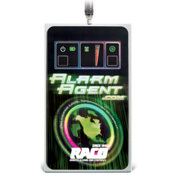 RACO's Cellularm® system, is a reliable and innovative cellular voice and data communications system designed for maximum compatibility with RACO alarm autodialers, data loggers and RTUs. 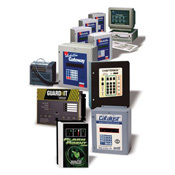 Click here to review SCADA Wireless products. delivery technology utilized – landline, cellular wireless and cellular control channel wireless. Alarms can be reported to computers, standard phone, cell phone, pager, or voice mail systems. Click here to review Internet products. RACO offers a complete line of high quality, reliable remote communications systems for monitoring, alarm notification and data logging applications. Additionally, RACO offers systems with the ability to run SCADA, PLC annunciation and process control applications. Our product line ranges from interactive, wireless data communications systems to alarm autodialing systems, which enables RACO to provide a solution for any communication platform utilized – landline, cellular wireless and cellular control channel wireless. Click here to review Telephone Dialer products. Absolute Process Instruments is a diverse designer and manufacturer of a wide variety of standard and custom electronic products. Absolute Process Instruments is committed to designing, manufacturing, and selling quality products that provide customers with cost-effective solutions to their industrial process measurement challenges. 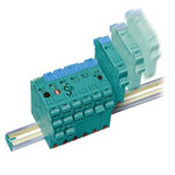 Click here to review Signal Conditioner products. Pepperl+Fuchs is a leading developer & manufacturer of electronic sensors & components for the global automation market with an established track record of innovation in industrial automation & intrinsic safety. 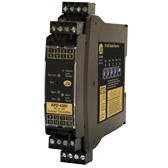 Click here to review Intrinsic Safety products. Our HMI visualization solutions are designed to meet the needs of a wide variety of industrial process environments. And because Pepperl+Fuchs´ VisuNet industrial monitors and workstations are built in house to industrial standards with industrial-rated components, they are easily tailored to meet the exact solution for your application-no matter how harsh, how rugged, or how demanding. 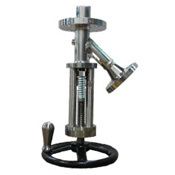 Our core industries include Oil & Gas and the Life Sciences. These segments branch out into a collection of subindustries that include a variety of environmental requirements and area classifications. Click here to review VisuNet HMI products.